If there are two products of which I am absolutely no brand loyal with it's mascara and concealer. I know I've bought the same mascara more than once, but I really can't think of a concealer I've stuck with for more than one purchase. It's not that I've never found a great one, it's just that there are so many to try and they're all just that little bit different. 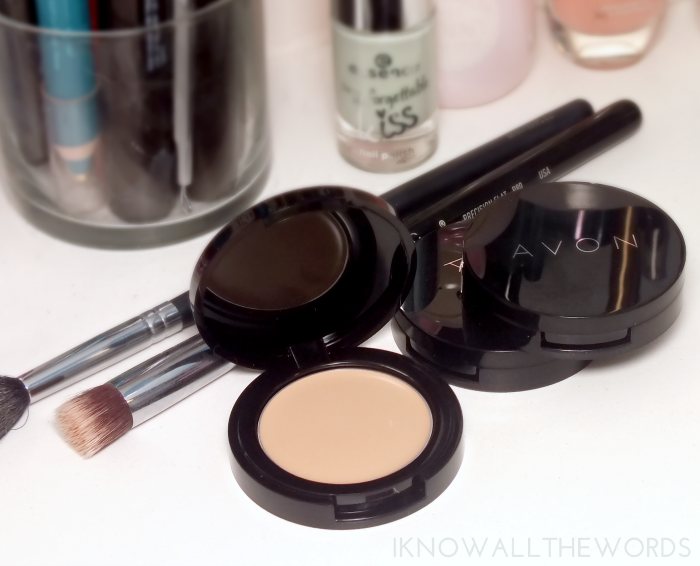 One that I've been using lately comes in the form of Avon Ideal Flawless Cream Concealer which is kind of amazing. Want more info? Read on! 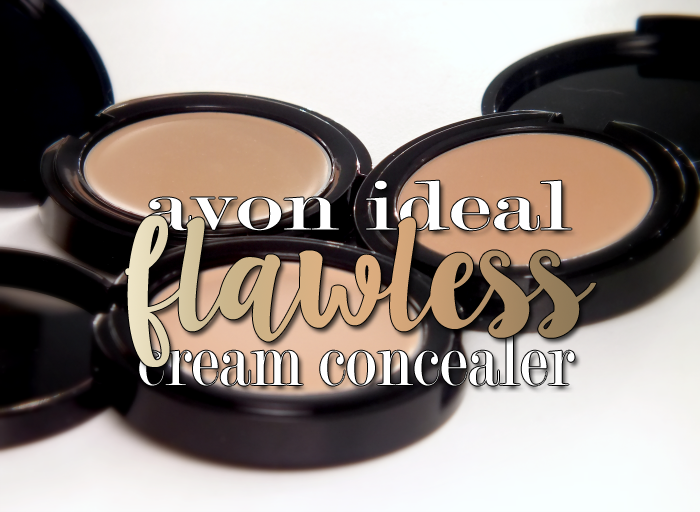 The Ideal Flawless Cream Concealers are housed in simple, flat, round pots. It's pretty iconic packaging as it instantly made me think of the Bobbi Brown Creamy Concealer (you too?) Although this doesn't have a mirror, the packaging is pretty perfect as the flat pot makes it easy to apply with either a brush or finger. Plus, it's small and easily tucked into any makeup bag. Onto the actual concealer. Short version- it's pretty great! I'm guessing you want the long version though, yeah? 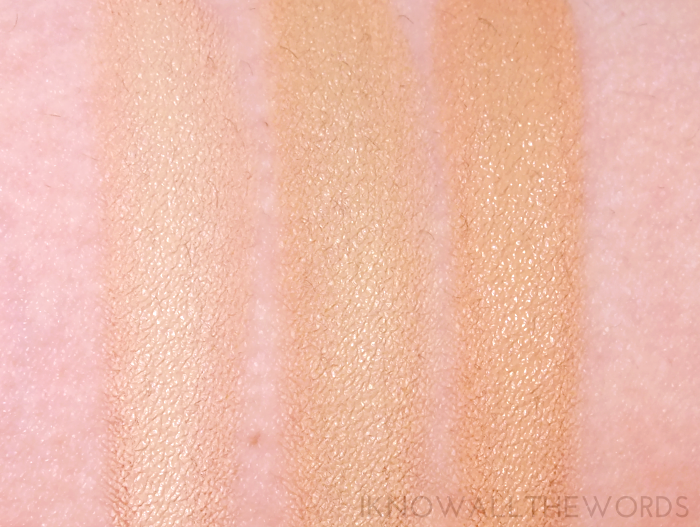 As the name implies, this is a creamy, smooth concealer. I didn't expect it to be as soft as it is, or as pigmented and ended up with waaay too much on my brush the first time I used it. Oh yeah, it's also quite pigmented, so the smallest amount get's the job done. Coverage is pretty good- about a full medium. I don't think the formula builds very well due to the texture though, so it's best not to pile this one on. I tend to like creamier concealers as they just work better on my usually dry skin, but there is such a thing as too creamy- especially under the eyes. I like to set almost every concealer I use under my eyes as pretty much everything creases on me, but this sets to a silky, almost powdery finish that looks quite natural and works really well under eyes- it barely creased after six hours of wear. 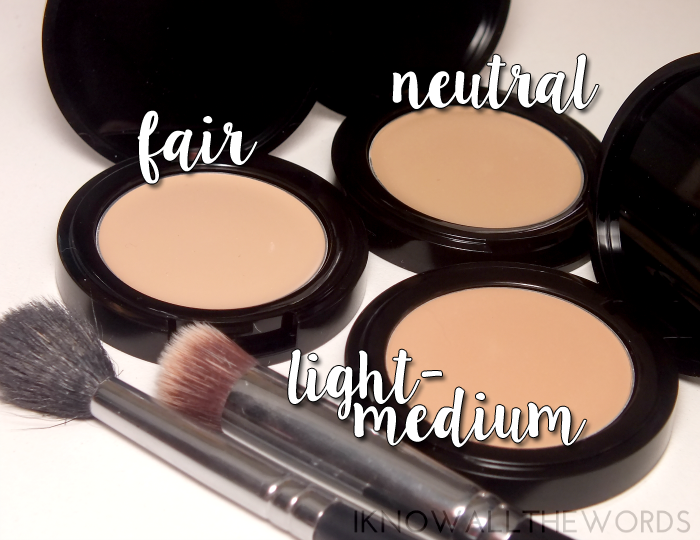 I use the shade Fair under my eyes and Neutral on other areas of my face- Neutral is just a touch darker and warmer than Fair. I was also sent Light-Medium but it's a bit too dark for me. While I love how this covers redness and general imperfections I don't love it for covering blemishes. It looks good over them, but I find it can be a bit drying throughout the day and make the spot look worse. Overall, I'm very happy with this little concealer! I like the natural finish and the fact that it sets to a very crease resistant finish. I don't breakout too much, so the fact that this isn't the best over blemished isn't an issue for me but could be deal breaker for some. You certainly can't beat the price though and the fact that there are thirteen shades in the range. Everyone should find their ideal match. My info has the launch date being the first week of March (I've had mine a while and thought they were already out) but they could pop up in the book a little bit sooner than that as the press info dates don't always match up to the books. What do you think- yay or nay? Are you loyal to any one concealer?